Every week, you do your best to maintain your house tidy and neat. You vacuum, dust and clean, do the laundry, and so on. 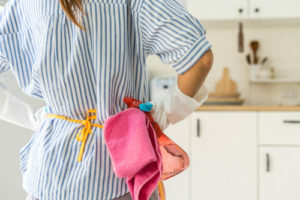 Although the list of household chores seems never-ending every time you get down to cleaning, there are some areas you inevitably overlook. After a few months, it becomes painfully clear that these places in your home need some extra love – deep cleaning. However, you’d rather spend a lovely afternoon at the Houston Zoo with your family or have some me-time than stay home cleaning. You already know that deep cleaning takes a lot of time, and effort. So you may start thinking about booking a professional deep clean in Houston, TX. After all, nobody can do it like the pros. On the other hand, you may still be on the fence about hiring professional help because you feel uneasy about letting a stranger into your home, especially if you don’t know if your cleaner is insured and bonded. You also don’t know if you should stay at home while they clean, whether you should tip the maids, and these, and you remain indecisive while all these, and many other questions are running through your head. In the end, you decide to do it yourself. So the time has come, and the next question you ask yourself is – where should you begin? How to start deep cleaning your house? The key is to set a schedule. Deep cleaning entails making all those hard-to-reach places in your home sparkle, and that is a demanding task. You need to plan it to the detail and give yourself enough time to do it. 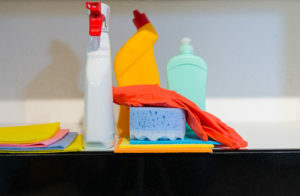 Empty your cabinets and drawers and wipe the interior with a microfiber cloth. You may use a spray cleaner and vacuum to remove dust and dirt. Remove covers and cushions so you can remove any stains with a specialized cleaning solution. After the fabric dries completely, thoroughly vacuum upholstery with your vacuum’s brush attachment to get rid of animal hair, debris, and food leftovers. Deep cleaning your carpets doesn’t just entail vacuuming; it means using carpet cleaning machines and solutions which can treat stains and remove ground-in dirt and grime. You have two options: to rent or purchase a machine to steam clean your carpets or to treat yourself to a thorough deep clean in Houston, TX, and save energy and time. To remove water spots and a build-up of gunk and grime from the sink, shower heads, and faucets, you can either use conventional scale removers or white vinegar or baking soda. Don’t forget to clean your light fixtures, windows, and blinds. Hard to reach and often overlooked, they tend to accumulate lots of debris and dust. To clean and disinfect your microwave, oven, kitchen cabinets, and fridge, you don’t have to use harsh chemicals. Vinegar solution and baking soda will also get the job done. Breathe new life into your kitchen and bathroom by making your tile and grout lines sparkle. You can use baking soda, microfiber cloths, or a steam cleaner along with a scrub brush to get rid of dirt, bacteria and other contaminants. How long does it take to deep clean a house? It depends on the size of your house, but it will most certainly take you several weekends to deep clean your home room by room. If you book a professional cleaning, the cleaning company will send a team of experts who will are well versed in the latest cleaning methods and techniques, and will need much less time to leave your property shine. What is the fastest way to deep clean a house? As you can see, deep cleaning is an arduous task, and if you still want to do it yourself, the best way to do it is to divide your house into sections. Think about how much time you will need to clean each and every area of your home and follow your deep cleaning checklist. You can create a list for every room in your house so you make sure nothing gets overlooked, and get down to it during the weekend. On the other hand, truly the fastest way to deep clean your house is to – outsource it! Book a cleaning with a reliable cleaning company in the area you live, and you will save a lot of time and effort. What is the best cleaning company in Houston and nearby areas? As one of the leading cleaning services in Houston and surrounding areas, Big City Maids boasts a team of professionally trained cleaners who have years of experience and impeccable background and references. We will assess how many cleaners we need to send based on the size and condition of your home, as well as your preferences. They will reach every corner of your home, going above and beyond to make your place squeaky clean. Book our services today, and see for yourself!